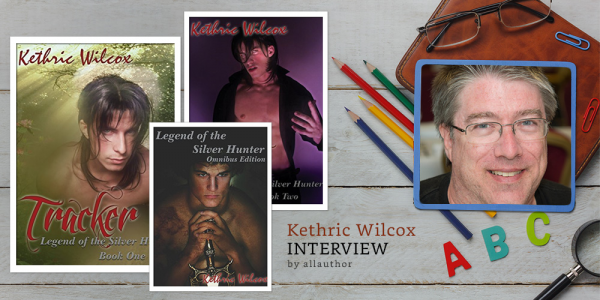 Kethric Wilcox began writing and publishing as a personal challenge to be creative in a new medium. He was attracted to the LGBT Romance genre after reading several paranormal romances where it seemed like the shape-shifters never faced dangers outside the relationship issues thrown at them by their authors. Thus was born the shifter hunting House of Beauty on the premise of a twisted fairy tale. What if Beauty and the Beast didn't end with happily ever after? Wilcox's Legend of the Silver Hunter trilogy looks at this question and then asks what happens if a member of this family falls in love with a descendant of the Beast, can they find happily ever after or are they doomed to repeat the tale. Born and raised in Massachusetts, Wilcox now lives and works in Little Rock, Arkansas in a house that he and his partner renovated. 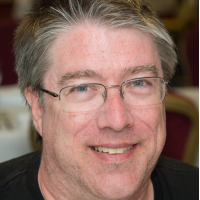 By day Wilcox is a graphic artist and exhibit designer and at night an author of paranormal romances. Wilcox currently has two new trilogies in progress: Origin of the Vampires set in a dystopian future of the Silver Hunter world; and Legacy of the Silver Hunter which continues the story told in the Legend trilogy from the viewpoints of other couples in Kieran and Cory’s lives. He is also working on a duologue on Richard St. Martin's life as a hunter and as a vampire. "Writer's Block" hits everyone at some point. When I get a dose of it, I either go back and start editing the project, or I switch to a different story. Having multiple projects going often helps with breaking through "writer's block." If I changed genres, I'd switch to alternate historical fiction. I have a fascination with the past and I'd love to take the plunge and see what kind of world I could create by changing some small event in the past. I do have a rough set of notes for an alternate history set during the Fourth Crusade where the ruling council of Venice votes to keep Constantinople and other captured Greek cities.